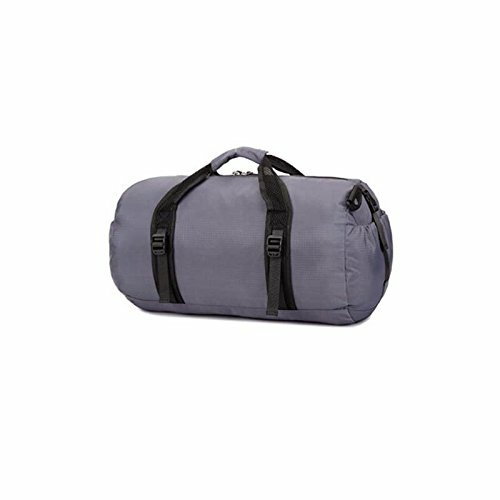 This gym bag is perfect choice for your everyday activities ,like gym,sports, travel,weekend or vacation (carry on).Our gym bag is durable, comfortable, spacious ,flexible and made from water resistant nylon. bag folds completely up into its own compact zipper pouch for storage,and can easily fit in a suitcase or briefcase. It also has finished interior seams that will survive plenty of wear and tear. Ventilated to help cloths stay dry and fresh,minimizing odor. Multiple pockets for organization and easy access, 2 sides zipper pockets,1 front zipper pocket, inside large mesh pocket. If you have any questions about this product by Raysell, contact us by completing and submitting the form below. If you are looking for a specif part number, please include it with your message.